A crocodile in the Serengeti wandered into a pod of hippos only to be forcefully driven out. 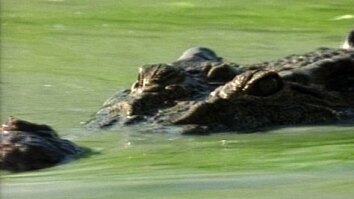 The pool in the video is called the “Hippo Pool.” Hippos are very territorial, and the crocodile was an uninvited guest. 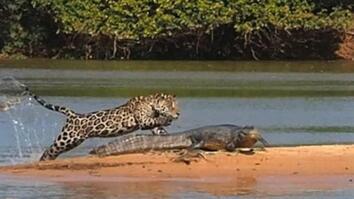 Onlookers say that surprisingly, the crocodile survived. A crocodile wandered into the wrong pool. Hippos are very territorial, and the crocodile was an uninvited guest. 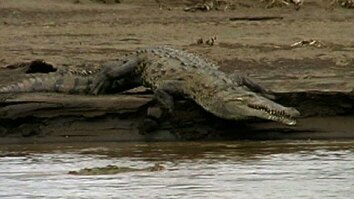 Onlookers say that surprisingly, the crocodile survived.